... born on March 3, 1923, he was 89 years-old when he passed away after emergency colon surgery. "Doc" Watson was a guitarist, songwriter and singer of bluegrass, folk, country, blues and gospel music. He won seven Grammy awards as well as a Grammy Lifetime Achievement Award. Watson's was best known for his flatpicking skills and knowledge of traditional American music. He performed with his son Merle for over 15 years until Merle's death in 1985, in an accident on the family farm. 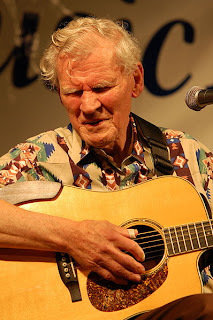 Arthel Lane "Doc" Watson was born in Deep Gap, North Carolina. According to Watson on his three-CD biographical recording Legacy, he got the nickname "Doc" during a live radio broadcast when the announcer remarked that his given name Arthel was odd and he needed an easy nickname. A fan in the crowd shouted "Call him Doc!" presumably in reference to the literary character Sherlock Holmes's sidekick Doctor Watson. The name had stuck ever since. An eye infection caused Doc Watson to lose his vision before his first birthday. He attended North Carolina's school for the visually impaired, The Governor Morehead School, in Raleigh, North Carolina. Watson's first guitar a $10 Stella guitar from Sears Roebuck. He earned the money to buy it after he and his brother David chopped down chestnut trees along the edge of the family's field and sold the wood. His first high quality guitar was a Martin Guitar D-18. The first song he learned to play on the guitar was "When Roses Bloom in Dixieland." Watson quickly proved to be a natural musical talent and within months was performing on local street corners playing songs from the Delmore Brothers, Louvin Brothers, and Monroe Brothers alongside his brother Linny. By the time Watson reached adulthood, he had become a proficient acoustic and electric guitar player. He said earliest influences were the roots of country, including the Carter Family and Jimmy Rodgers. 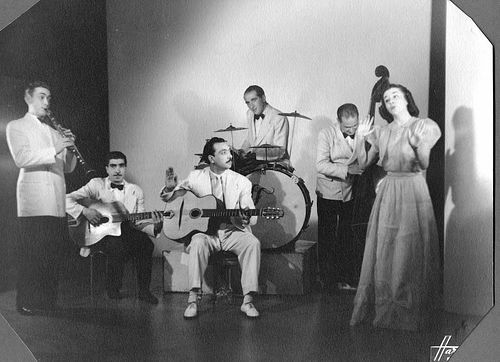 In 1953, Watson joined the Johnson City, Tennessee-based Jack Williams' country and western swing band on electric guitar. Watson taught himself to play fiddle tunes on his Les Paul electric guitar. He later transferred the technique to acoustic guitar, and playing fiddle tunes became part of his signature sound. During his time with Jack Williams, Doc also supported his family as a piano tuner. In 1960, as the American folk music revival grew, began playing acoustic guitar and banjo exclusively. In the early1960s, he began to tour as a solo performer and appeared at universities and clubs like the Ash Grove in Los Angeles. Watson would eventually get his big break and rave reviews for his performance at the renowned Newport Folk Festival in Newport, Rhode Island in 1963. Watson recorded his first solo album in 1964 and began performing with his son Merle the same year. 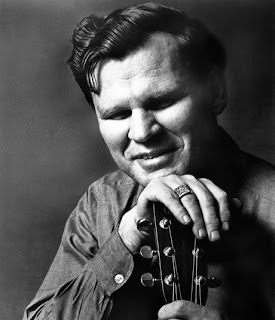 After the folk revival waned during the late 1960s, Watson's career was sustained by his performance of "Tennessee Stud" on the 1972 live album recording Will the Circle Be Unbroken. As popular as ever, Doc and Merle began playing as a trio, with T. Michael Coleman on bass guitar, in 1974. 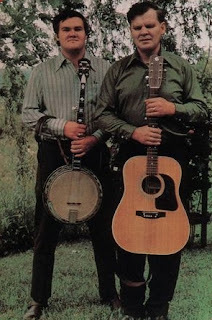 The trio toured the globe during the late seventies and early eighties, recorded nearly fifteen albums between 1973 and 1985, and brought Doc and Merle’s unique blend of acoustic music to millions of new fans. In 1985, Merle died in a tractor accident. 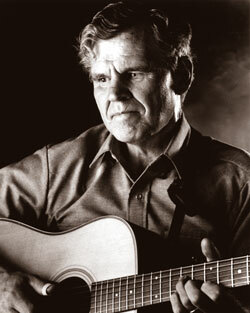 Watson played guitar in both flatpicking and fingerpicking style, but is best known for his flatpick work. His guitar playing skills, combined with his authenticity as a mountain musician, made him a highly influential figure during the folk music revival. He pioneered a fast and flashy bluegrass, lead guitar style including fiddle tunes and crosspicking techniques which were adopted and extended by Clarence White, Tony Rice and many others. Watson was also an accomplished banjo player and sometimes accompanied himself on harmonica as well. Known also for his distinctive and rich baritone voice, Watson over the years developed a vast repertoire of mountain ballads, which he learned via the oral tradition of his home area in Deep Gap, North Carolina. His affable manner, humble nature and delightful wit endeared him to his fans nearly as much as his musical talent. Watson played a Martin model D-18 guitar on his earliest recordings. In 1968, Watson began a relationship with Gallagher Guitars when he started playing their G-50 model. In 1974, Gallagher created a customized G-50 line to meet Watson's preferred specifications, which bears the Doc Watson name. In 1991, Gallagher customized a personal cutaway guitar for Watson that he played until his death. Doc also played a Dana Bourgeois dreadnought given to him by Ricky Skaggs for his 80th birthday. In 1986, Watson received the North Carolina Award and in 1994 he received a North Carolina Folk Heritage Award. Also in 1994, Watson teamed up with musicians Randy Scruggs and Earl Scruggs to contribute the classic song "Keep on the Sunny Side" to the AIDS benefit album Red Hot + Country produced by the Red Hot Organization. 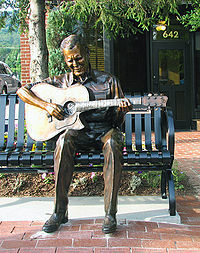 In 2000, Watson was inducted into the International Bluegrass Music Hall of Honor in Owensboro, Kentucky. In 1997, Watson received the National Medal of Arts , and in . 2010, he was awarded an honorary doctor of music degree from Berklee College of Music. In his later life, Watson scaled back his touring schedule. Watson was generally joined onstage by his grandson (Merle's son) Richard, as well as longtime musical partners David Holt or Jack Lawrence. Watson hosted the annual MerleFest music festival held every April at Wilkes Community College in Wilkesboro, North Carolina. The festival features a vast array of acoustic style music focusing on the folk, bluegrass, blues and old-time music genres. It is named in honor of Merle Watson and is one of the most popular acoustic music festivals in the world, drawing over 70,000 music fans each year. In 2010, Blooming Twig Books published "Blind But Now I See" by Dr. Kent Gustavson, the first comprehensive biography of the seminal flatpicking guitarist. ... he was 62-years-old when he died from cancer. 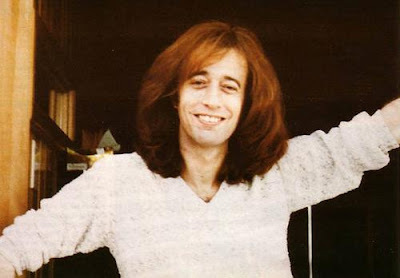 Born on the Isle of Man on December 22, 1949 to English parents, Robin Hugh Gibb, was the twin brother of Maurice Gibb, and was the older of the twins by thirty-five minutes. He was the third-born of five children. 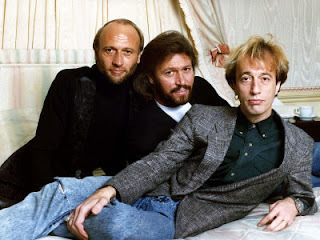 With his twin brother Maurice (1949–2003), and elder brother Barry, they formed the Bee Gees (Brothers Gibb), one of the most successful pop groups of all time. The trio got their start in Australia, and found major success when they returned to England. In late 1958, he and his family moved to Brisbane, Australia, settling in one of the city's poorest suburbs, Cribb Island, which was subsequently demolished to make way for Brisbane Airport. The trio started their musical career in Australia, and flourished when they returned to England in 1967 and were spotted by Robert Stigwood. Robin has often been the lead singer, although he vied constantly with his elder brother Barry Gibb during the group's first period of British success in the late 1960s. 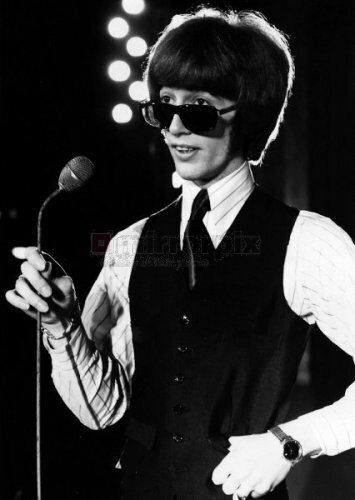 This eventually resulted in Robin leaving the group to begin a solo career after his song "Lamplight" was relegated to the 'B' side of Barry's "First of May." There were also rumors of drug problems. He became so suspect, his parents threatened to have him made a ward of court. Although initially successful, with a number 2 UK hit, "Saved by the Bell" - which sold over one million copies, and was awarded a gold disc - his album, Robin's Reign, was not a success. He reunited with his brothers, despite having almost completed a second solo album, Sing Slowly Sisters, and who themselves, had left the group for their own solo careers. After they "un-dis-banded," they hit #3 on the U.S. charts with the song "Lonely Days" in 1970. The following year, they had their first U.S. #1 hit, "How Can You Mend a Broken Heart," but then their success wallowed. In 1974, they started working with producer Arif Mardin and reinvented themselves with "Blue-Eyed Soul." The Bee Gees then went on to their second period of phenomenal success in the disco-era late 1970s. Robin also promoted his solo career, and during the 1980s he released three further solo albums; How Old Are You, Secret Agent, and Walls Have Eyes, which were more successful in Continental Europe than in the U.K. or the U.S. His 1984 single, "Boys Do Fall in Love" did reach the Billboard top 40. 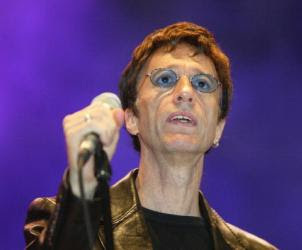 In the same week as his twin brother Maurice's sudden death, Robin's next solo album, Magnet, was released in Germany in January 2003, and worldwide afterwards. It features the old Bee Gees classic "Wish You Were Here" in a new acoustic version. The lead single, "Please" has coincidental lyrics about "loss." 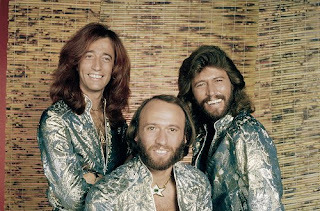 After Maurice's death, Robin and Barry disbanded the Bee Gees for a time; however, it was announced in late 2009 that Barry and Robin would reform and perform as the Bee Gees again. In 2002, Robin was made a Commander of the Order of the British Empire, (CBE), along with his brothers. 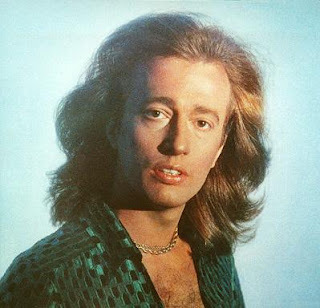 In 1994, Robin Gibb was inducted into the Songwriters Hall of Fame, and in 1997 the Bee Gees were inducted as a group into the Rock and Roll Hall of Fame. On 10 July 2009, both Robin and Barry were made Freemen of the Borough of Douglas. The award, was also bestowed posthumously on Maurice, therefore confirming the freedom of the town of their birth to all three brothers. 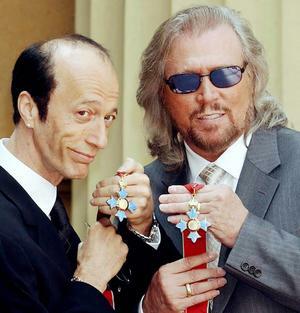 In 2004, Robin and brother Barry, received honorary Doctor of Music Degrees from The University of Manchester. She was 63-years-old when she passed away due to complications from cancer. 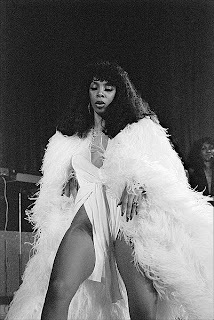 Donna Summer was very popular in the 1970s earning the title "The Queen of Disco." She is a 5 time Grammy winner and has sold over 130 million records to date. Summer was the first artist to have three consecutive double albums reach number one on the US Billboard chart and she had four number-one singles within a thirteen-month period. Born on New Year's Eve 1948 in the Dorchester neighborhood of Boston, Massachusetts, LaDonna Adrian Gaines biggest influence was Mahalia Jackson. Singing in church at a young age, in her teens, she formed several musical groups including one with her sister and a cousin, imitating Motown girl groups such as The Supremes and Martha and the Vandellas. In the late 1960s, Summer was influenced by Janis Joplin and joined the psychedelic rock group the Crow as lead singer. She had dropped out of school convinced that music was her way out of Boston, where she felt she was not accepted. The group didn't last long. In 1968, Summer auditioned for a role in the Broadway musical, Hair. (She lost the part of Sheila to Melba Moore.) When the musical moved to Europe, Summer was offered the role. She took it and moved to Germany for several years. 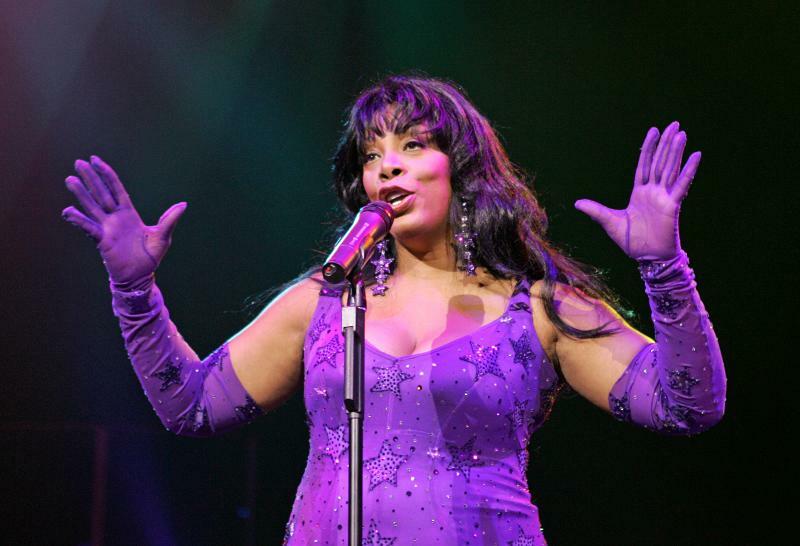 While in Germany, she also appeared in the musicals Godspell and Show Boat. After settling in Munich, she began performing in several ensembles including the Viennese Folk Opera and even sang as a member of the pop group FamilyTree. 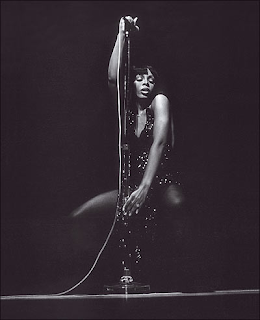 She came to the group in 1973 and toured with the 11-people pop group throughout Europe. She also sang backup in studio sessions. In 1971, while still using her birth name Donna Gaines, she released her first single, a cover of "Sally Go 'Round the Roses," which did not sell well. In 1972, she married Austrian actor Helmuth Sommer and gave birth to their daughter Mimi Sommer in 1973. Citing marital problems caused by Sommer's frequent absences, she divorced him but kept his last name, changing the "o" to a "u." While singing background for the 1970s trio Three Dog Night that Summer met producers Giorgio Moroder and Pete Bellotte. She eventually made a deal with the European label Groovy Records and in 1984, released her first album, Lady of the Night. Though not a hit in the U.S., the album was successful in Europe, particularly the song "The Hostage," which reached number one in France and Belgium and number two in the Netherlands. In 1975, Summer approached Moroder with an idea for a song he and Bellotte were working on for another singer. She had come up with the lyric "love to love you, baby" as the possible title. Moroder was interested in developing the new sound that was becoming popular and used Summer's lyric to develop the song. Moroder persuaded Summer to record what she thought would be a demo track for another performer. To make herself feel comfortable recording the song, she requested the producers turn off the lights while she sat on the sofa inducing fake moans and groans. The original track was only three minutes. Moroder heard the playback of the song and felt Summer's version should be released. Released as "Love to Love You" in Europe, the song found modest chart success. The song was sent to Casablanca Records president Neil Bogart, who asked Moroder to produce a longer version of the song. Summer, Moroder, and Bellotte returned with a 17 minute version, including a soulful chorus and an instrumental break while Summer invoked more moans. 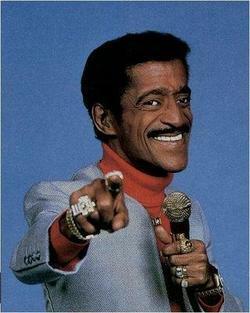 Casablanca signed Summer in 1975 and the label released the song, now titled "Love to Love You Baby," in November. By early 1976, the song had reached number two on the Billboard Hot 100. The parent album of the same name sold over a million copies. The song generated some controversy for its graphic nature of Summer's moans and was even banned from some radio stations. Several news magazines, including Time reported that 22 orgasms were simulated in the making of the song. After several more modest singles and subsequent albums, including the concept albums Love Trilogy and Four Seasons of Love, which also went gold, Summer was deemed in the press as "The First Lady of Love," a title with which Summer was not totally comfortable. Her single "Love's Unkind" reached number 3 in the UK during 1977. In 1977, Summer released her album, I Remember Yesterday. It included her second top ten single, "I Feel Love," which reached number six in America and number one in the UK. Another concept album, also released in 1977, was the double album, Once Upon a Time, which told of a modern-day Cinderella "rags to riches" story through the elements of orchestral disco and ballads. 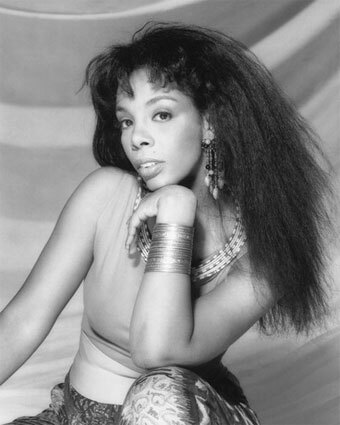 In 1978, Summer released a disco version of the Richard Harris ballad, "MacArthur Park," which became her first number one US hit. The song was featured on Summer's first live album, Live and More, which also became her first album to hit number one on the US Billboard 200 chart, and went platinum selling over a million copies. Other studio tracks included the top ten hit, "Heaven Knows," which featured the group Brooklyn Dreams accompanying her on background and Joe "Bean" Esposito singing alongside her on the verses. Also in 1978, Summer acted in the film, Thank God It's Friday, playing a singer determined to perform at a hot disco club. The song, "Last Dance," written by Paul Jabara, reached the top three in the U.S. and resulted in Donna winning her first Grammy Award. Despite this success, Summer was struggling with anxiety and depression and became enthralled in a prescription drug addiction, which nearly consumed her in early 1979. Following her recovery, Summer, Moroder and Bellotte worked on their next disco project. The result was Bad Girls, an album that had been in production for nearly two years. In 1989, Summer released the album Another Place and Time on Atlantic Records. Summer had a top 10 pop hit with "This Time I Know It's For Real," which became her fourteenth and final gold hit to register on the Billboard Hot 100. It was also a number 3 chart hit in the U.K., her highest placed single there since "No More Tears (Enough is Enough)" ten years earlier. ... he was 64-years old-when he passed away. 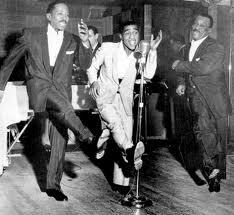 Born in Harlem, New York, Davis's parents were vaudeville dancers. At the age of three Davis began his career in vaudeville with his father and "uncle" as the Will Mastin Trio, toured nationally, and after military service, returned to the trio. Davis became an overnight sensation following a nightclub performance at Ciro's after the 1951 Academy Awards, with the trio, became a recording artist, and made his first film performances as an adult later that decade. He lost his left eye in a car accident in 1954. He appeared in the first Rat Pack movie, Ocean's 11, in 1960. After a starring role on Broadway in 1956's Mr. 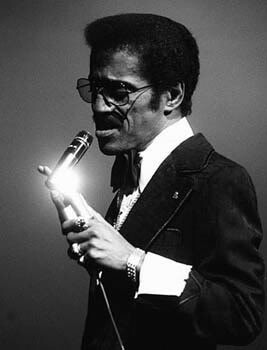 Wonderful, Davis returned to the stage in 1964's Golden Boy, and in 1966 had his own TV variety show, The Sammy Davis Jr. Show. Davis was awarded the Spingarn Medal by the NAACP, and was nominated for a Golden Globe and an Emmy Award for his television performances. He was the recipient of the Kennedy Center Honors in 1987, and in 2001, he was posthumously awarded the Grammy Lifetime Achievement Award. 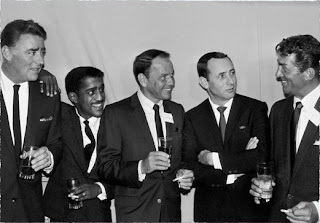 In 1959, Davis became a member of the famous "Rat Pack," led by his friend Frank Sinatra, which included fellow performers such as Dean Martin, Joey Bishop, Peter Lawford, and Shirley MacLaine. Initially, Sinatra called the gathering "the Clan," but Sammy voiced his opposition, saying that it reminded people of the racist Ku Klux Klan. Sinatra renamed the group "the Summit," but the media referred to them as the Rat Pack. 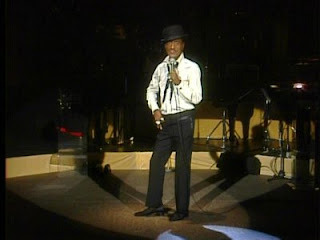 Davis was a headliner at The Frontier Casino in Las Vegas, Nevada, but he was required (as were all black performers in the 1950s) to stay in a rooming house on the west side of the city, instead of sleeping in the hotels as his white entertainers did. No dressing rooms were provided for black performers, and they had waited outside by the swimming pool between acts. 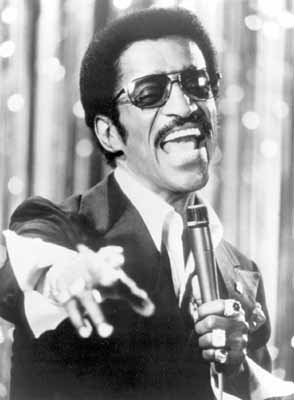 Davis's career slowed in the late sixties, but he had a hit record with "I've Gotta Be Me" in 1969, and "The Candy Man," in 1972. Davis toured with Frank Sinatra and Dean Martin in 1987, and Liza Minnelli internationally, before dying of throat cancer in 1990. ... he was 43 years-old when he passed away. Jean "Django" was a pioneering virtuoso jazz guitarist and composer. 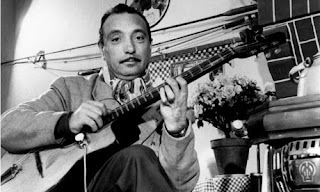 Born into a family of Romani gypsies Reinhardt invented an entirely new style of jazz guitar technique - sometimes called 'hot' jazz guitar - that is now a living musical tradition within French gypsy culture. Born in Liberchies, Pont-à-Celles, Belgium, Reinhardt's nickname "Django" is Romani for "I awake." He spent most of his youth in Romani (Gypsy) encampments close to Paris, playing banjo, guitar and violin from an early age. His family made cane furniture for a living, but included several keen amateur musicians. 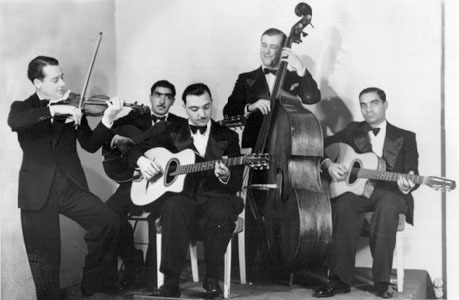 With violinist Stéphane Grappelli, he co-founded the Quintette du Hot Club de France. 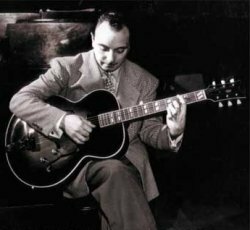 Reinhardt's most popular compositions have become jazz standards, including "Minor Swing," "Daphne," "Belleville," "Djangology," "Swing '42" and "Nuages" (French for "Clouds"). He started first on the violin and eventually moved on to a banjo-guitar that had been given to him as a gift. His first known recordings (in 1928) were of him playing the banjo. During this period he was influenced by two older gypsy musicians, the banjoist Gusti Mahla and the guitarist Jean "Poulette" Castro. Since he was able to make a living in music from his early teens onwards, he received little formal education. When he was 18, Reinhardt was injured in a fire that ravaged the caravan he shared with his first wife. They were very poor, and to supplement their income Bella made imitation flowers out of celluloid and paper. Consequently, their home was full of this highly flammable material. Returning from a performance late one night, Reinhardt apparently knocked over a candle on his way to bed. While his family and neighbors were quick to pull him to safety, he received first- and second-degree burns over half his body. His right leg was paralysed and the third and fourth fingers of his left hand were badly burned. Doctors believed that he would never play guitar again and intended to amputate one of his legs. Reinhardt refused to have the surgery and left the hospital after a short time; he was able to walk within a year with the aid of a cane. His brother Joseph Reinhardt, an accomplished guitarist himself, bought Django a new guitar. With rehabilitation and practice he relearned his craft in a completely new way, even as his third and fourth fingers remained partially paralysed. He played all of his guitar solos with only two fingers, and used the two injured digits only for chord work. The period between 1929 and 1933 were critical years for Reinhardt's musical development. He abandoned the banjo-guitar and focused exclusively on guitar. During this period, he met Stéphane Grappelli, a young Parisian violinist with very similar musical interests; the two of then would jam for hours with a group of other like-minded musicians. In 1934, Reinhardt and Grappelli were invited to form the "Quintette du Hot Club de France" with Reinhardt's brother Joseph and Roger Chaput on guitar, and Louis Vola on bass. Occasionally Chaput was replaced by Reinhardt's best friend and fellow Gypsy Pierre "Baro" Ferret. The vocalist Freddy Taylor participated in a few songs, such as "Georgia On My Mind" and "Nagasaki." In Paris in March 1933 Reinhardt recorded two takes each of "Parce que je vous aime" and "Si, j'aime Suzy," vocal numbers with lots of guitar fills and guitar support, using three guitarists along with an accordion lead, violin, and bass. In August of the following year recordings were also made with more than one guitar (Joseph Reinhardt, Roger Chaput, and Django), including the first recording by the Quintette. Most of these recordings featured a wide variety of horns, often in multiples, piano, and other instruments. Reinhardt also played and recorded with many American jazz musicians such as Coleman Hawkins, Benny Carter, Rex Stewart (who later stayed in Paris), and a jam-session and radio performance with Louis Armstrong. Later in his career he played with Dizzy Gillespie in France. 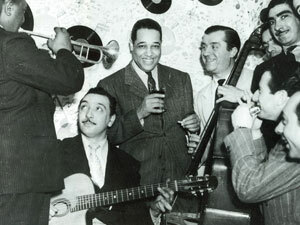 In Rome in 1949, Reinhardt recruited three Italian jazz players and recorded his final (double) album, "Djangology." He was once again united with Grappelli, and returned to his acoustic Selmer-Maccaferri. The recording was discovered and issued for the first time in the late 1950s. In 1951, he retired to Samois-sur-Seine, near Fontainebleau, where he lived until his death. He continued to play in Paris jazz clubs and began playing electric guitar, despite his initial hesitation towards the instrument. His final recordings made in the last few months of his life show him moving in a new musical direction; he had assimilated bebop and fused it with his own melodic style. While walking from the Avon train station after playing in a Paris club he collapsed outside his house from a brain hemorrhage. It was a Saturday and it took a full day for a doctor to arrive and Reinhardt was declared dead on arrival at the hospital in Fontainebleau at age 43. 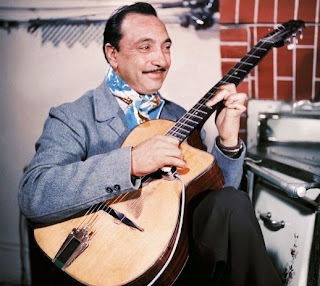 Many guitar players, and musicians, have expressed admiration for Django Reinhardt, or have cited him as a major influence. These include British rock guitarists Jimmy Page, Jeff Beck, and Eric Clapton, all three of whom are regularly listed by publications such as Rolling Stone or Guitar Player Magazine as being within the top 10 greatest or most influential guitar players -often with Reinhardt, himself. Other notable guitar players influenced by Reinhardt, include Jimmy McCulloch, classical guitarist Julian Bream; country artist Chet Atkins, who placed Reinhardt #1 on a list of the ten most influential guitarists of the 20th century (and himself fifth); Latinrocker Carlos Santana; blues legend B.B. King; Pete Townsend of The Who; Stevie Ray Vaughan; Derek Trucks; Mark Knopfler; Les Paul; Peter Frampton; George Benson; Wes Montgomery among many, many others. Jose Feliciano attributes his unique style, in part, to that Reinhardt. 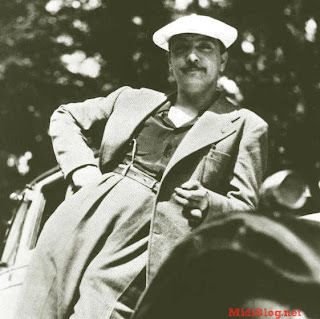 In 2009 he composed an album inspired by those musical influences and entitled it Djangoisms. The Grateful Dead's Jerry Garcia and Black Sabbath's Tony Iommi, both of whom lost fingers in (separate) accidents, were particularly inspired by Django's ability to become an accomplished guitar player/musician, despite the diminished use of his own permanently injured hand, following an accident. Some musicians, inspired by Reinhardt, have paid tribute to him by invoking his name in their own work or personal life. Jimi Hendrix is said to have conceived of, or used, the name Band of Gypsys because of Reinhardt's music. Jazz trio The Lost Fingers named themselves after Reinhardt's injured fingers.